THREE years without a Schools’ Cup final is nothing short of an eternity for Methodist College. The Malone school boast a proud history in the blue riband schools’ rugby competition but in recent years they have been missing from its spring showpiece. 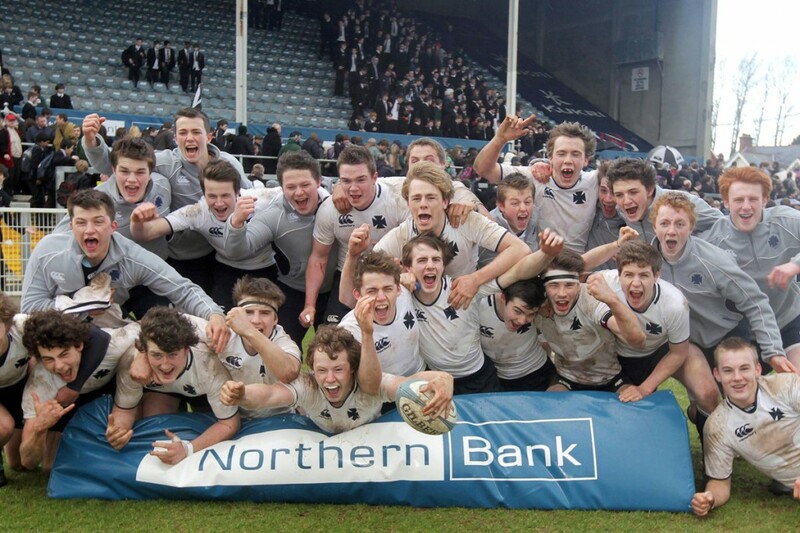 Since 2009, they have been forced to sit and watch as Ballymena Academy (2010) and Campbell College have secured the famous trophy but on Monday they will return to Ravenhill with the intention of securing title number 36. Nicky Wells’ side have enjoyed a fine passage to the final, racking up impressive scores as Rainey Endowed (25-8), Banbridge Academy (48-3) and Campbell College (18-8) have all fallen by the wayside. On Monday it will be a Ballyclare High side standing in their way and one that has belied their modest record in the competition. While Methody have got their hands on the cup on 35 occasions, the County Antrim school have just one previous triumph in the competition. That came in 1973 when RBAI (Inst) were defeated but since then, not once have they appeared in the final so Monday will be a special occasion for all concerned. However, Methody don’t do sentiment. There will be an element of pressure to bring the cup back to the school and reclaim their throne but while they may have all the history, Wells doesn’t believe that makes them automatic favourites. “We wouldn’t look at it that way. We haven’t played Ballyclare this season and they have probably had the harder route to the final,” admitted the Methody head coach. “I would probably say they are tipping it slightly as favourites. “We would have the history and the pedigree but I think this season they have been the pack and the team to beat. That buzz is sure to translate into a raucous atmosphere come 3pm on Monday. The novelty of a different school emerging from the pack to bring their own sense of noise and colour will surely add to the occasion. However, Wells says that Ballyclare are there on merit and a look at their path to the final supports this claim. Following an 11-5 victory over Royal School, Armagh, a quarter-final victory (7-3) over last season’s runners-up, Inst, sounded their intentions before a dominant semi-final victory (26-12) against Wallace High saw them book their place in the final where they will be led by Grant Bartley and ably supported by Andrew Butler and James Beattie. While many will feel the occasion could get to Ballyclare, the Methody coach rejects this suggestion and feels it will be a new experience for his players also. “Usually that would be the case but there has been such a break from us being there,” he said. “A lot of these guys were maybe squad members when they were in sixth form for the semi-final against Ballymena two years ago so it will be a new experience for a lot of them as well. “I think they (Ballyclare) have been targeting this group of lads for a number of years. “They will have a good team spirit, and extremely useful set-piece but I think it would be foolish of us to think they are just one dimensional. And when the game gets under way, Methody will be looking to their own big names to help them secure victory. Rory Winters captains the side but has an impressive supporting cast that includes Mark Gribben, James Harrison and Rudolph Benade. The South Belfast school had enjoyed a good tour in Rome at the beginning of the year where they faced an Italian U19 academy side but seemed to falter somewhat upon their return. However, their head coach said this was something of a blessing in disguise as they were able to fine-tune their team ahead of their opening Schools’ Cup game. “We have had a strong season apart from a slight wobble when we came back from tour,” he added. “We had a bit of a bad spell but in hindsight it really worked out for the best because we have tightened things up and have got back to playing traditional Methody rugby.